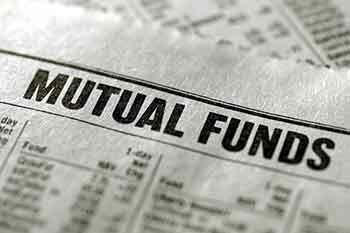 PPFAS Mutual Fund's flagship scheme PPFAS Long Term Value Fund (PLTVF) has completed three years of consistent performance. Mr. Neil Parag Parikh, Chairman and CEO, PPFAS Mutual Fund said, "It is a proud moment for all of us at PPFAS Mutual Fund. Our performance over the last three years is a result of the collective efforts of the entire team working toward the benefit of the unit-holders. We are in this position, all thanks to our founder, Mr. Parag Parikh. The values, philosophy and the common-sense approach to investing professed by him are deeply entrenched in the firm's DNA”. "For us, money management is a profession and not a business, where clients' interests always come before anything else. Our actions over the last three years speak for themselves. We have our skin in the game, held AGMs for our unit-holders whereby we put up ourselves for scrutiny to any questions the investors have, and been extremely transparent when it comes to disclosures and communication. These best practices ultimately benefit the end investors and we will always continue having them". Mr. Parikh further added. Speaking about the investment process, Mr. Rajeev Thakkar, Chief Investment Officer, PPFAS Mutual Fundsaid, "We stick to our investing approach of buying quality companies at reasonable to attractive valuations and given the scheme structure, we are not constrained by geography, sector or market capitalisation of the investee company. Our strategy of geographical diversification while at the same time minimising currency risk can help in riding out cycles in different markets. " PPFAS Mutual Fund is committed to building the business to the next level while serving an increased number of customers as well as distributors. PPFAS Mutual Fund has a dedicated team of 'Relationship Managers', whose main objective is to establish a long-term relationship with investors and distributors.